A victim of Jimmy Savile has told ITV News she fears a similar scandal could happen again. Katrina Rose was attacked by the former DJ when she was just 14 after he invited her back to his flat after seeing his radio show. Once inside, she told how Savile, a friend of her parents, asked her for a hug. "As he was a friend of my parents, and me being a polite girl, I thought nothing of it. "But the next minute his tongue was in my mouth and his hands were in my knickers," she said. When Miss Rose got home, she said her mum asked if everything had been okay as Savile had passed on a message to her saying: "Tell Katrina I'm sorry." "My mum said 'did he kiss you or something?' and I apparently said 'and the rest' and walked off, and we didn't talk about it again." Because of that experience, Miss Rose, now 54, said she thought that's just how men were and she was attacked again, by another man, a year later. About 10 years ago she gave a press interview as she had "had enough of Savile being made to out to be such a saint." But she pulled out of it at the last minute, fearing there would be a media frenzy as she was the first victim to publicly come forward. "I wish I'd had the guts to continue it because he was alive and would have been facing the music now," she said. 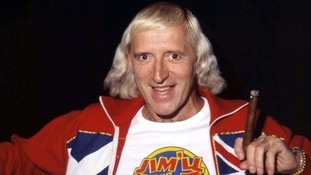 An inquiry into Savile found no corporate blame should lie with the BBC. But Miss Rose, who said she felt let down by the report, claimed the suggestion that senior bosses could not have known was "ridiculous". "I've been told there were so many rumours floating round for years, and if those rumours were floating about, how could not they not have reached the ears of senior management? "And if they did, why were they not investigated to find out if there was any truth in them?" The report found there was still a "culture of fear" among how staff treated celebrities at the corporation. 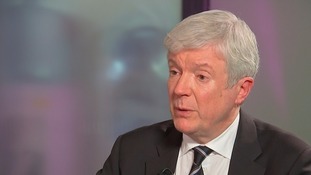 BBC Director General Lord Hall has apologised to victims and told ITV News Savile could have been stopped if the "small voice standing up against authority" had been listened to. He said they were now addressing the issue, saying: "Whoever you are, you're accountable for good and proper behaviour, and decent behaviour within the values of this corporation." But Miss Rose warned: "If there is still this feeling of 'we must not upset his celebrity,' our money-making celebrity, then sooner or later, it will happen again." Jimmy Savile's abuse could have been stopped if people had listened to "the small voice standing up against authority", Lord Hall has said.